Hewlett Packard just unveiled its newest Pavilion X2 hybrid laptop, which features a more premium look at an inexpensive price tag. Pavilion X2 is a 10-inch detachable tablet and a laptop with a quad-core Atom Bay Trail processor. Priced at $300, the fully separable Windows laptop sports a new magnetic clasp which easily connects the touch enabled-screen and the keyboard, which is as well,can be easily angled in different positions.While the entire hybrid device is only a 2.48 pounder, X2’s screen weighs just 1.29 lbs which comes with a 32GB flash storage that can be extend up to 64GB and that uses the famed USB-C for charging. When it comes to battery life, the Pavilion X2 can lasts about 10-11 hours in a casual use. 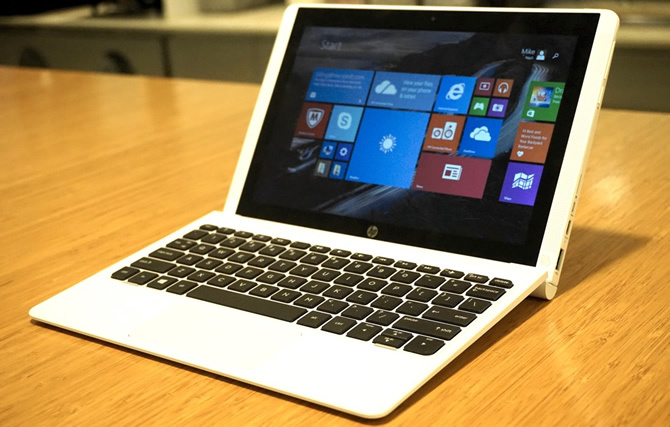 The new Pavilion X2 laptop will be available on July 21st at the official HP website.